Mills 50 property! Completely renovated, this 3 bedroom, 2 bathroom, 1-car garage home features Porcelain wood tile flooring, granite kitchen counter tops, crown molding, new windows with custom shutters/blinds, stainless steel kitchen appliance package, built in desks and storage, a calming color palette, and stylish bathroom updates. The interior layout is well-organized to allow maximum efficiency. Outdoors, a fresh and clean exterior is complimented by a mature landscape that wraps around into a lush backyard, fenced for privacy, which hosts raised gardening areas, an avocado tree, a nostalgic tree house, and a pergola set over a paved area perfect for relaxation. Nestled in the Park Lake/Highland area of the Mills 50 district, this home is zoned for the new highly sought after K-8 Audubon Park Elementary and Middle school. It is a charming property that's surrounded by nature-filled recreation, beautiful culture, convenient shopping, and good food. Convenient access to the Orlando Urban Trail allows for a walk or bike ride to any leisure activity that calls your name. Schedule a tour today and come see your new home sweet home. Lot Size: 0.2 Acres / 8859 Sq. Ft. Directions:From N Mills Ave, turn left onto Oregon St. Home will be on your right. SchoolsClick map icons below to view information for schools near 909 Oregon Street Orlando, FL 32803. MFRMLS data last updated at April 23, 2019 9:04:50 AM PST. Home for sale at 909 Oregon Street Orlando, FL 32803. 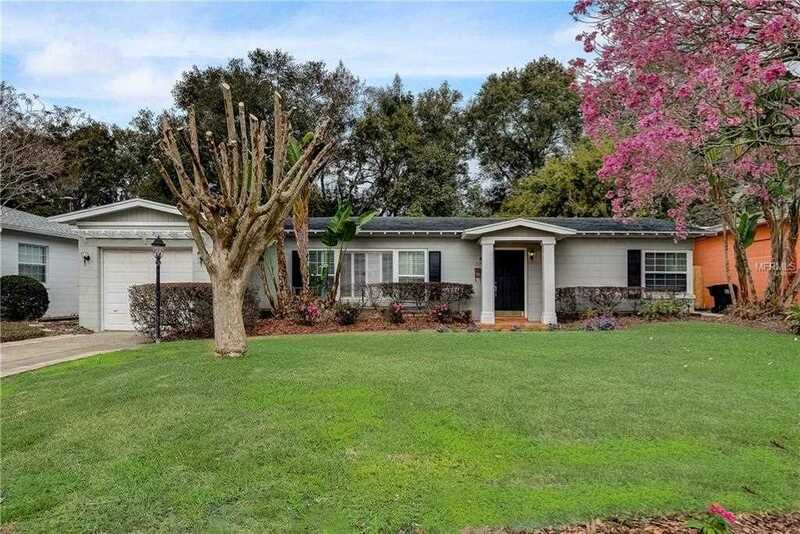 Description: The home at 909 Oregon Street Orlando, FL 32803 with the MLS Number O5761033 is currently listed at $380,000 and has been on the Orlando market for 76 days. You are viewing the MLS property details of the home for sale at 909 Oregon Street Orlando, FL 32803, which is located in the Lake Highland Heights subdivision, includes 3 bedrooms and 2 bathrooms, and has approximately 1579 sq.ft. of living area.